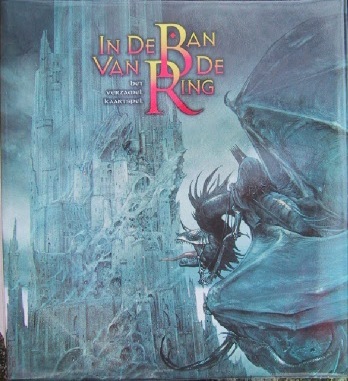 Welcome to the website of The Tolkien Shop; the only brick-and-mortar shop in the world entirely dedicated to J.R.R. Tolkien! Founded in 1986, for more than 30 years the one-stop address for everything Tolkien. With more than 6000 items in our catalogue is the Tolkienshop by far the biggest Tolkien store. From rare antiquarian editions and autographs from Tolkien to new books and The Lord of the Rings movie merchandise, we have it all. With the menu bar on the left you can enter the online catalogue. The 'Latest Additions' section gives a list of the items added to the catalogue in the last 30 days. We keep the catalogue literally up-to-date, so just about everything listed is in stock and ready to be mailed to you. We mail all across the world. With every order a free mathom! "...for anything that Hobbits had no immediate use for, but were unwilling to throw away, they called a mathom. Their dwellings were apt to become rather crowded with mathoms, and many of the presents that passed from hand to hand were of that sort." ShopFactory shopping cart software powers The Tolkien Shop. All-in one eCommerce software and shopping cart.